When many people think of voice over work they immediately think of the voices that they've heard on the radio and radio commercials. If you're a bit more observant then you've noticed that the voice you hear on television commercials is often not "on camera." In fact the "announcer voice" has been recorded separately and added to the commercial at the end, after all the on-camera action has been filmed and edited. As a matter of fact, this is where the term "voice over" comes from: the narrative "voice that is added "over" the film or video. But beyond these fundamental uses of an announcer or narrator there are now many requirements for those disembodied voice over folks. This is the category of voice overs that people are most familiar with. From womb to tomb we hear "spokepersons" touting the wonders of food, soaps, toys, cars, medicines and whatever else you need for "what ails ya." But wait! That's not all! if you act now... Call 1-800... You get the picture. There are a wide variety of commercial messages we hear each day ranging from the lowliest used-car dealer to the international Jaguar commercials. Let's look at several categories and how you can participate in them. The most varied commercial fare we listen to is probably local radio. Every small town in the USA has a nearby radio station and the advertise for many of the local businesses. Car lots, restaurants, furniture stores, jewelry stores--this list goes on and on. For the most part local and regional radio commercials use local talent. So this opportunity to develop is right in your back yard. Another similar market is local television. While most of local broadcast television television is auto dealerships, local cable and satellite is quite different. Here we again see the local businesses advertising. Local TV usually has a larger production budget so they use professional voice talent. The next level up from local spots is regional radio and television advertising. These are chain businesses that may cover part of your state or even several states. These often include restaurants, jewelry stores, grocery chains, and auto co-ops (here in So Cal we have the Southern California Ford [Nissan, Volkswagon, etc.] Dealership Association) state lotteries, state politics and so on. Often also there are regional products that are only advertised where you are. Things like seed corn and fertilizer in the midwest, animal antibiotics in Texas, surfboards on the coasts and snow plows in the Dakotas. All of these products are handled by local ad agencies because they best understand the market and demographics for these specialized products. Finally at the top of the commercial pyramid are national commercials. So you say "well, forget about those! They're all being done by [fill in the name of your favorite greedy celebrity]" Yeah, at the very top that's true. But Gene Hackman is breaking a leg trying to get the next Tidy Bowl spot. And often if the use celebs for the tag line, they still use anonymous voice over talent for the "meat and potatoes" of the commercial. So there's still a lot of work on national commercials to go around. Most of the work for national commercials is cast out of Los Angeles or New York City but there is some casting in other major media centers such as Orlando, Miami, Houston, Atlanta, Chicago and Detroit. Once again, as technolgy changes these national jobs will be produced in more markets. But for now L.A.'s the Place and I Love New York. To participate in these big spots you probably need a voice over agent to recommend you and probably need to be in the unions-- SAG and AFTRA. But this a definite goal to pursue... A national union commercial can be worth $20,000 or more if it runs for a year. Not bad for an hour's work! so how do I get work in commercial voice over? For regional market opportunities your going to have to travel to the larger cities in your area. If a company has its headquarters near you then it is likely that they will be using a nearby advertising agency. How about radio and TV stations? Surprisingly, they don't have much work and what they do have their own talent will latch onto it. So they'll give you the cold shoulder. For national spots your going to have to live in the major market areas and probably be in the unions. Don't pack your suitcase and head to the coast quite yet though. Build up a resume of strong local and regional credits and when you're totally making a living locally then consider that possbility. But be warned, you'll have to start at the bottom all over again. To do this you need a voice over home recording studio. You'll do most of your auditions and much of your work from home. The good news is that you can compete all over the world for jobs. Well, yes and no! Most of the local and regional radio, television and internet jobs are non-union. They are also jobs that you can locate yourself either online or in your area. The larger jobs of national commercials will probably require an agent to locate auditions. Start with the smaller jobs and build your skills and your credits. Then think about obtaining an agent to chase the big jobs. I sing! What about Jingles? So you want to be a jingle singer, huh? Well, here's the straight scoop. First of all, even though you hear the jingles on the commercials, it is rarely the spokesperson that sings the jingle unless she or he is on camera. Most of the time the jingles are recorded in a separate part of the country and married to the TV or radio commercial after the whole thing is finished. Because of this it's an entirely different business. The production of jingles is handled by music contractors who work with a stable of singers that they are familiar with. The best of the bunch are excellent sight readers: first time for notes, the second time with feeling. You also need to be able to sing in any style: rock, pop, r&b, country, jazz and classical. And you need a singing demo of several stytes. Whew! So if you have the chops, go for it. 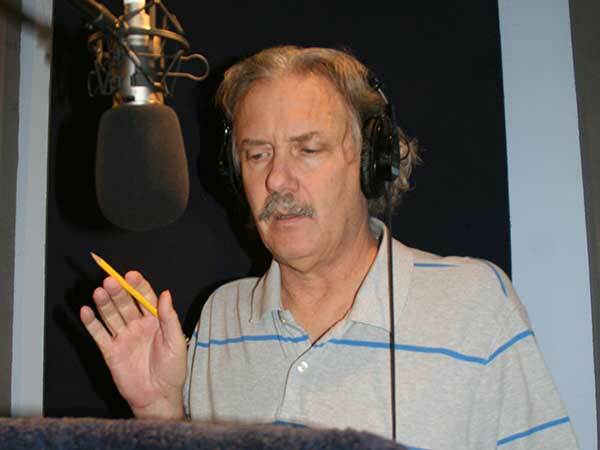 It complements voice overs as part of your career. But being established in voice overs will not give you easy access to the jingle market.